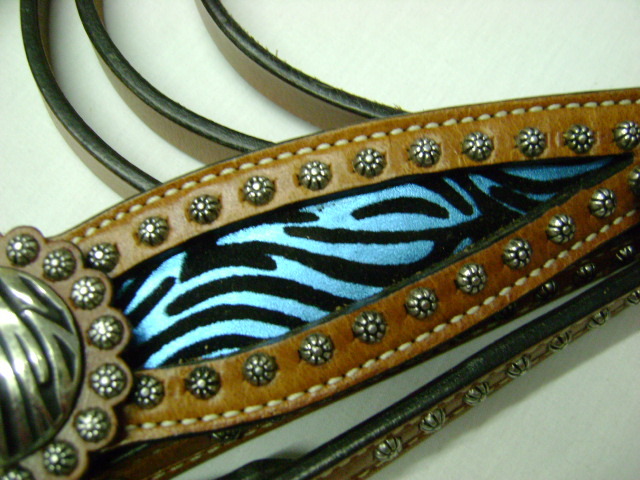 Looks great on any Horse! 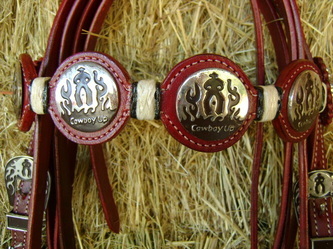 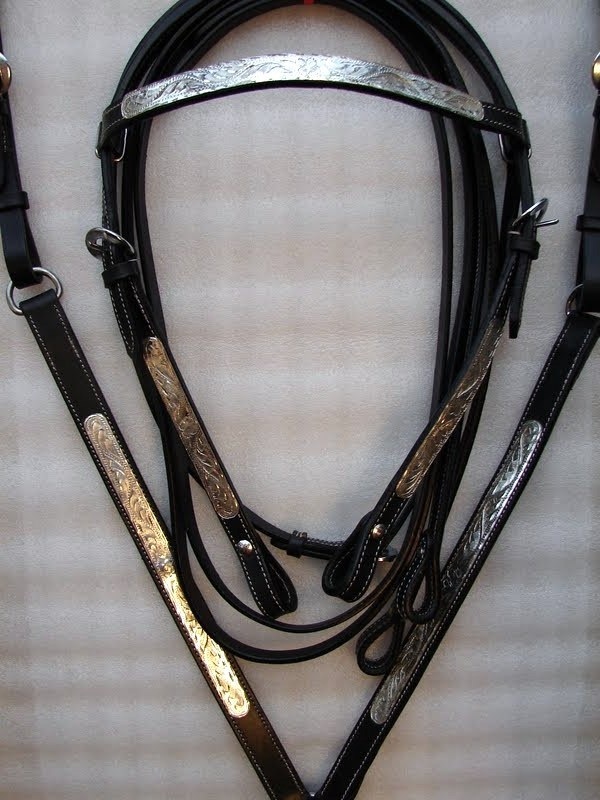 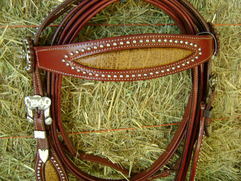 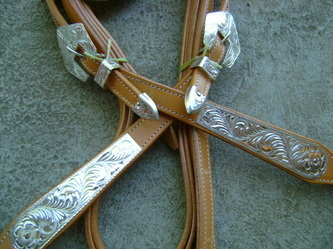 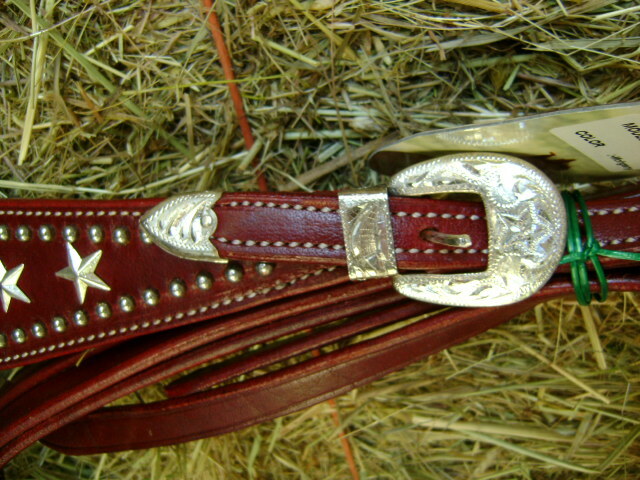 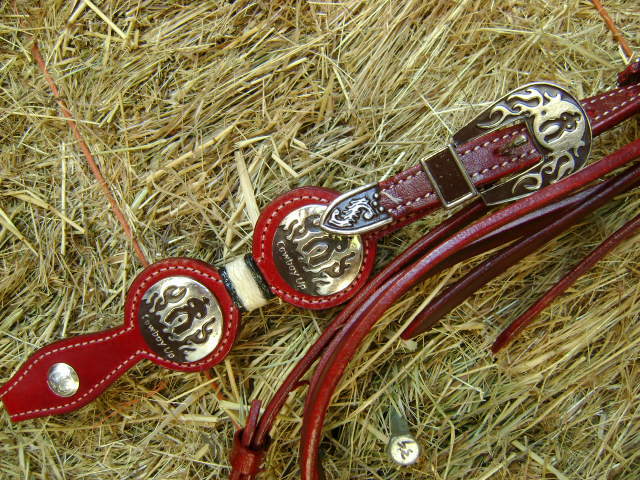 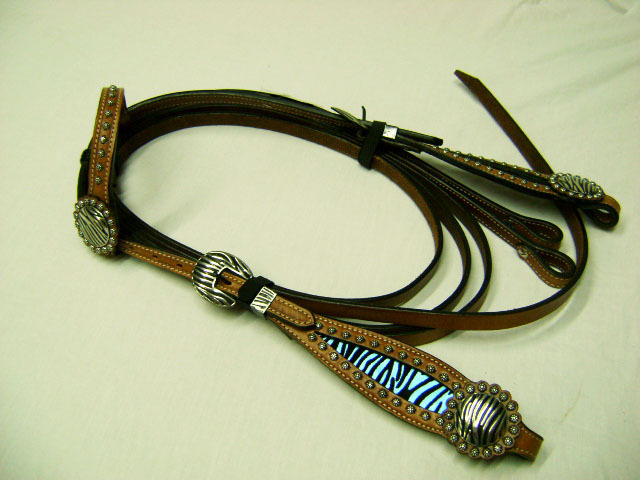 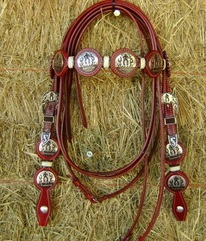 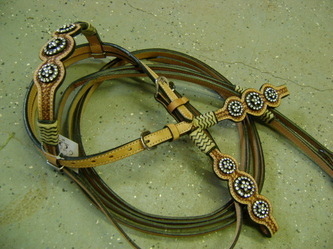 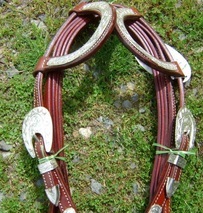 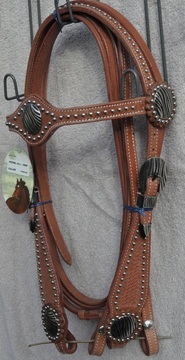 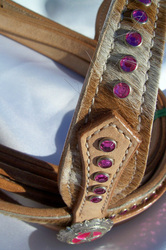 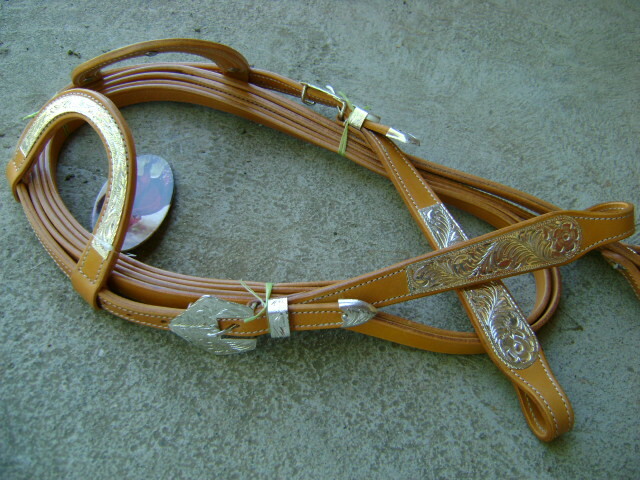 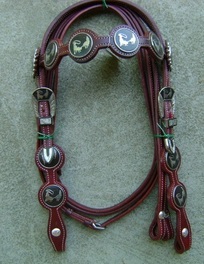 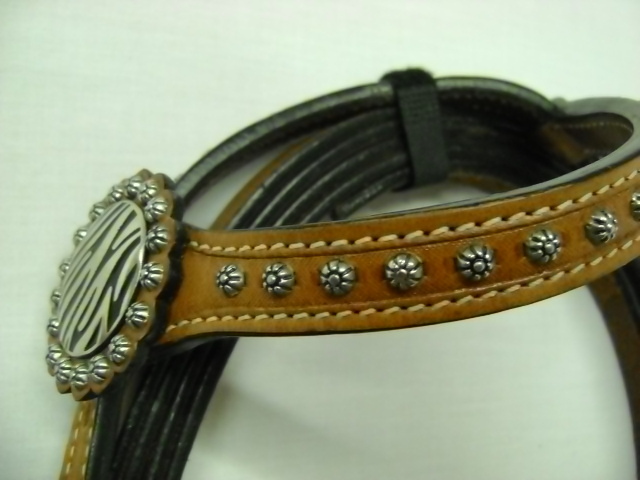 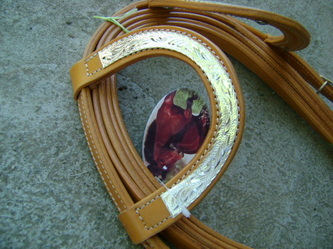 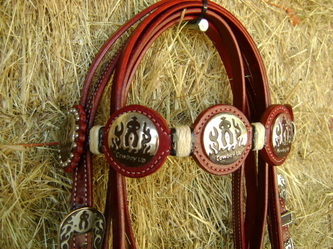 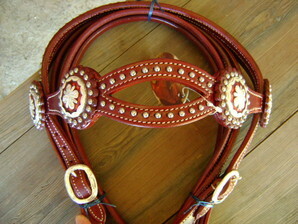 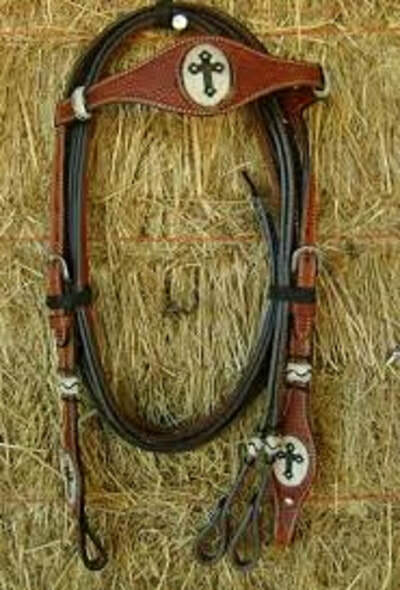 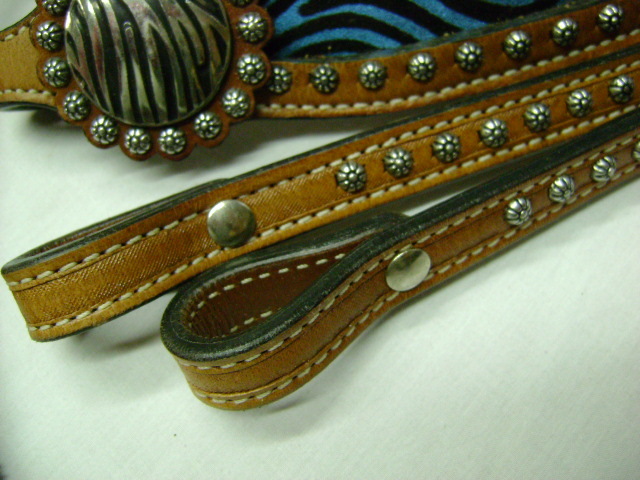 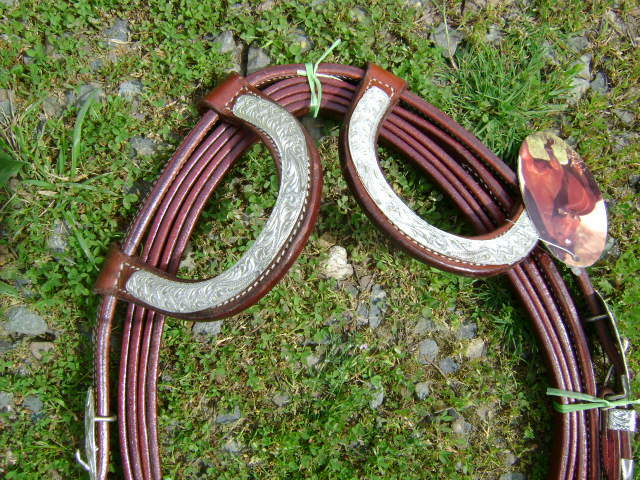 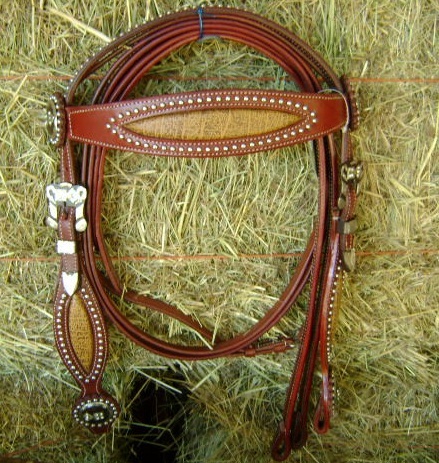 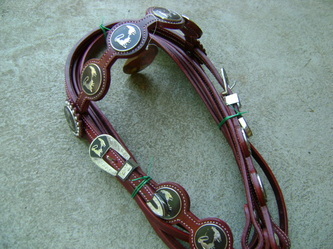 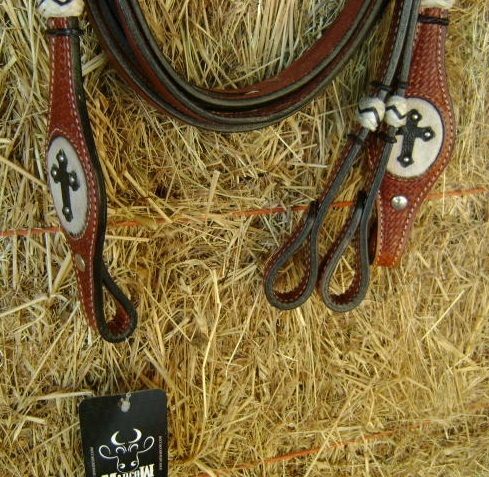 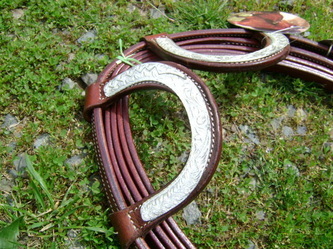 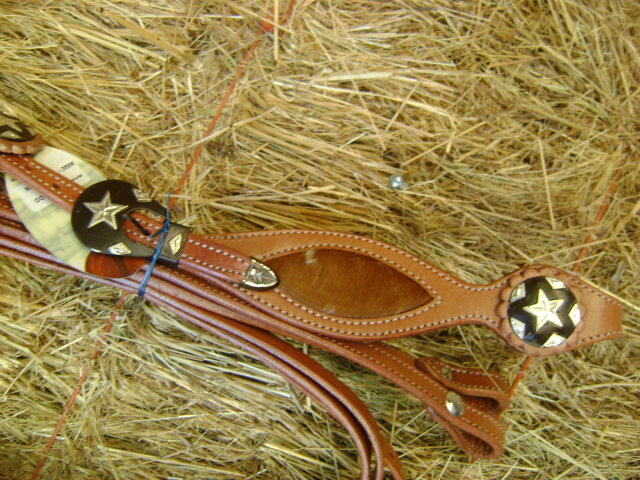 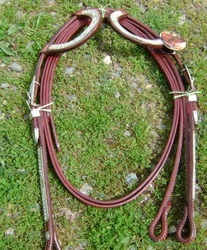 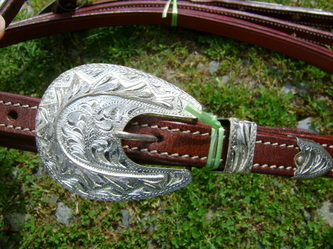 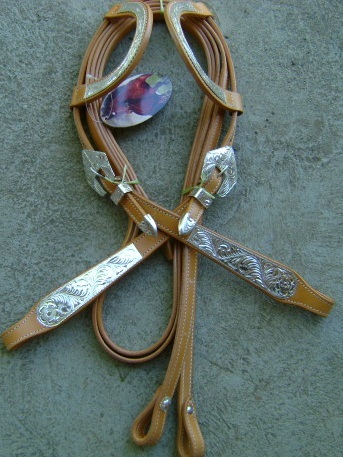 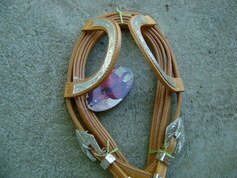 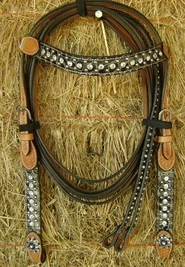 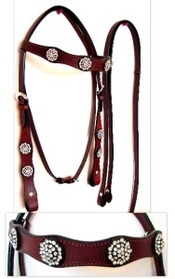 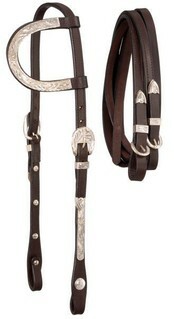 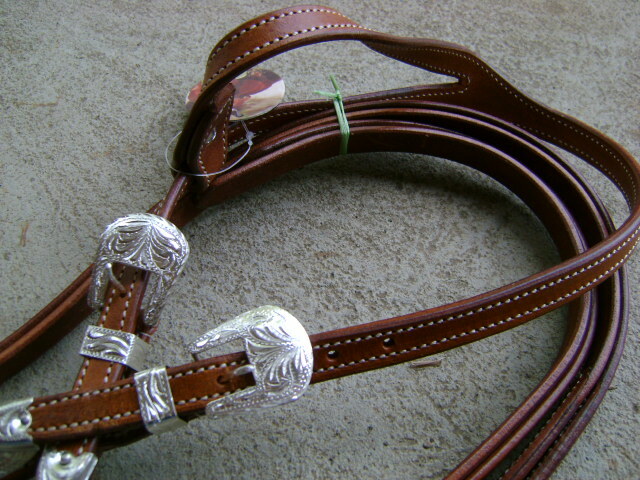 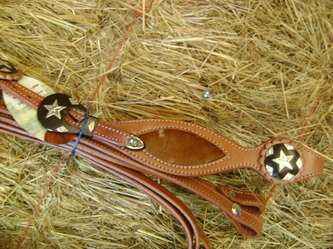 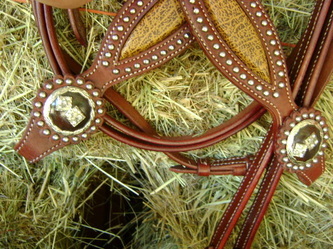 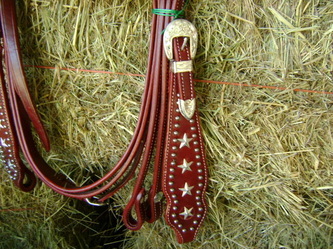 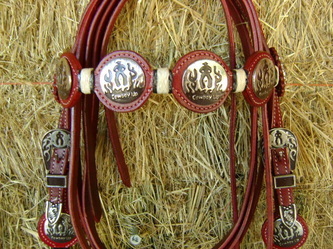 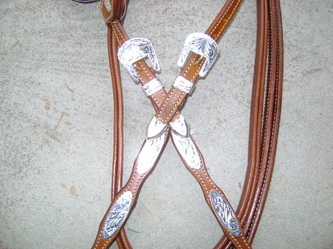 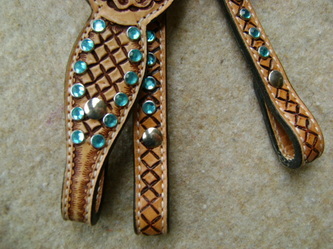 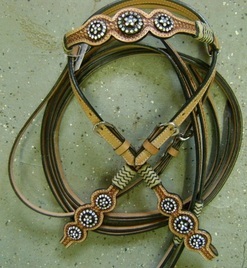 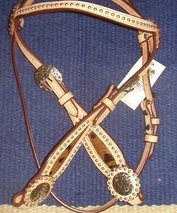 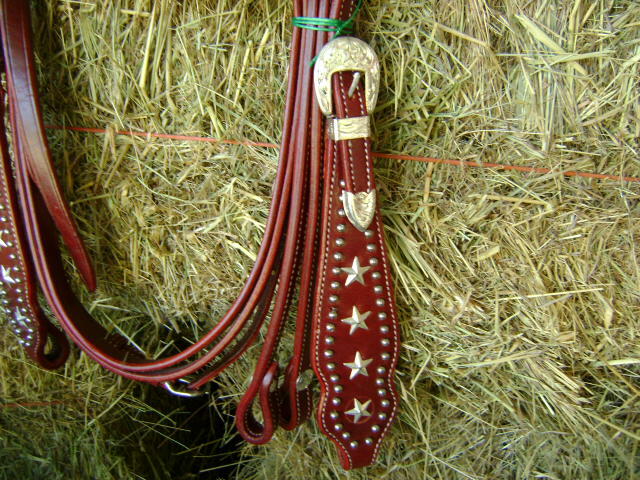 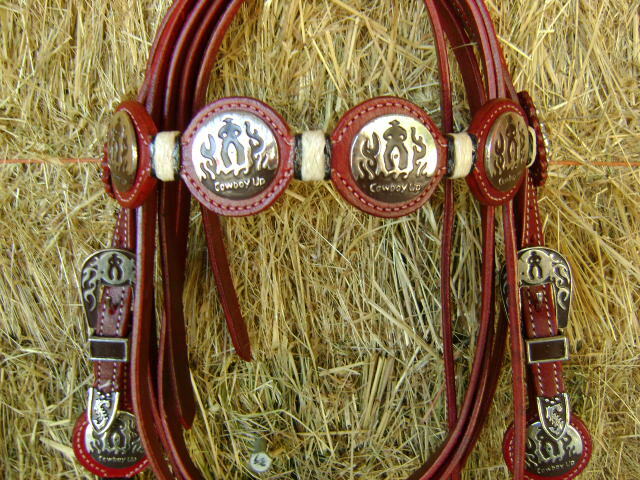 Includes: Matching Headstall & Reins Reins 72"
Very nice set Great for the show with lots of Silver! 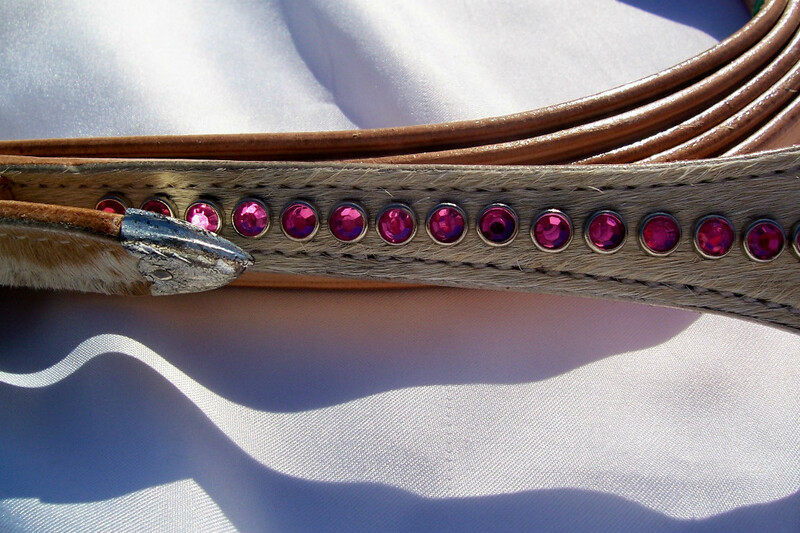 Shiny, Unique, Sparkles in the Sunlight Beautiful!!! 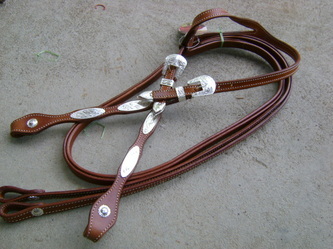 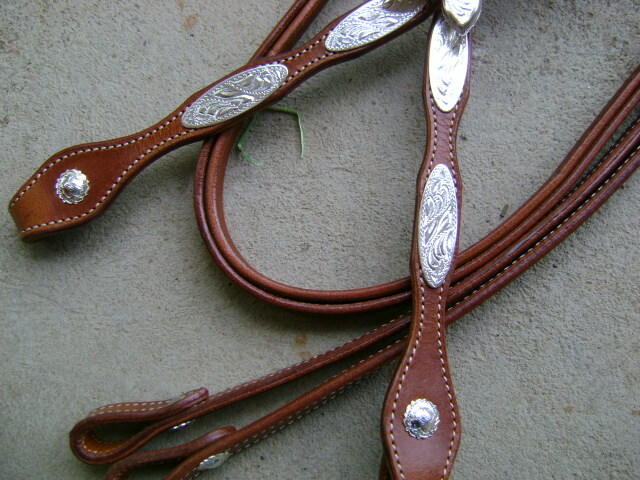 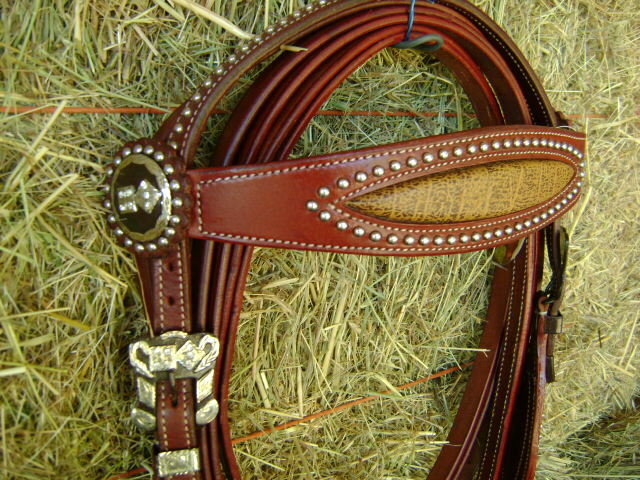 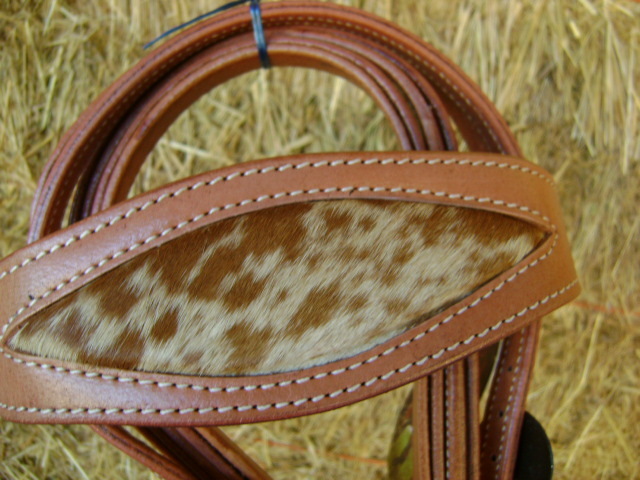 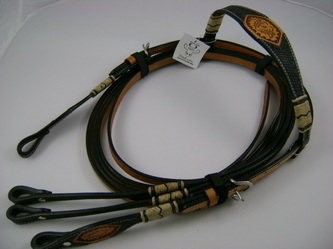 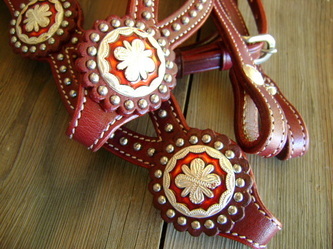 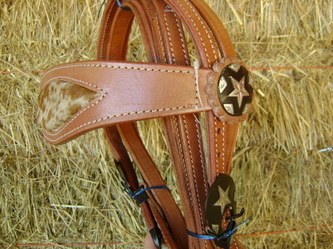 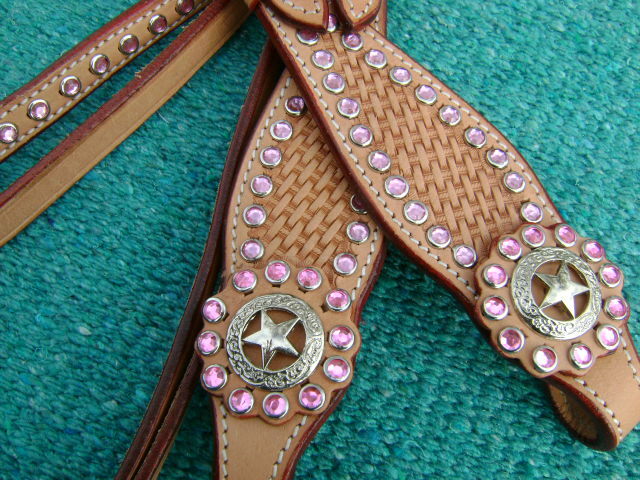 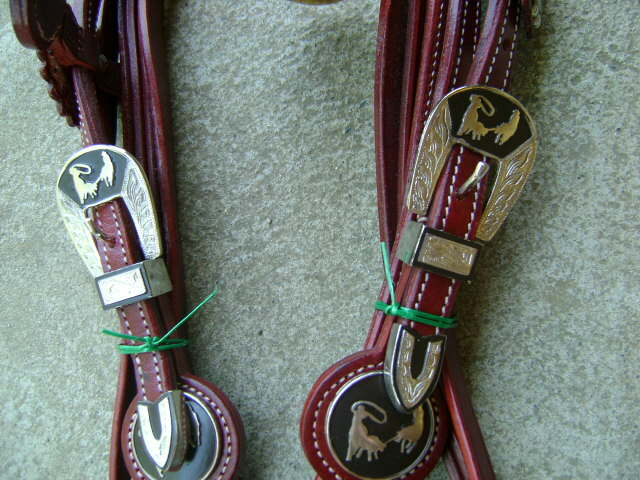 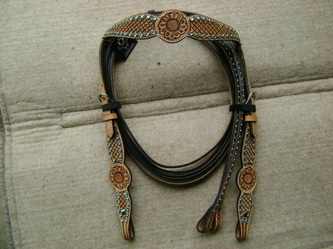 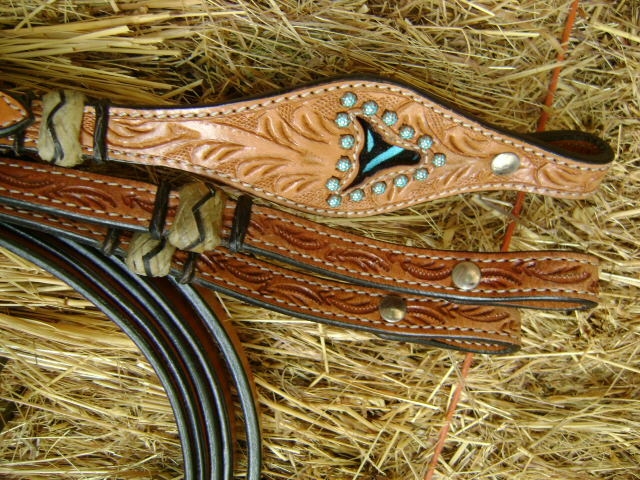 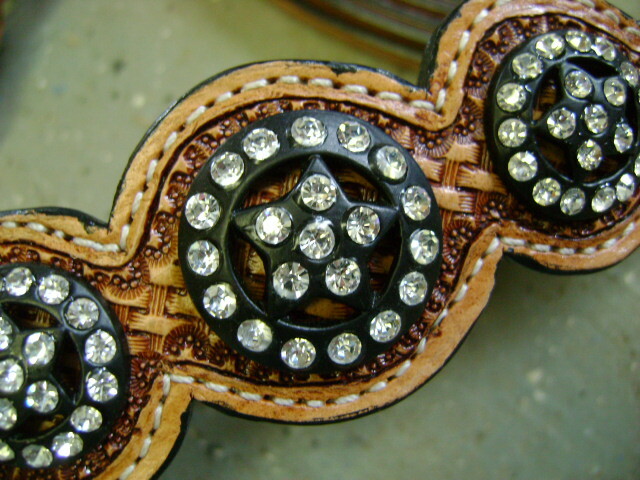 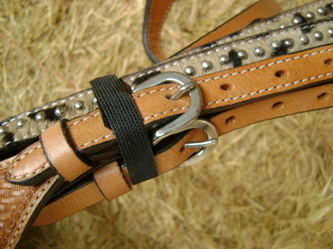 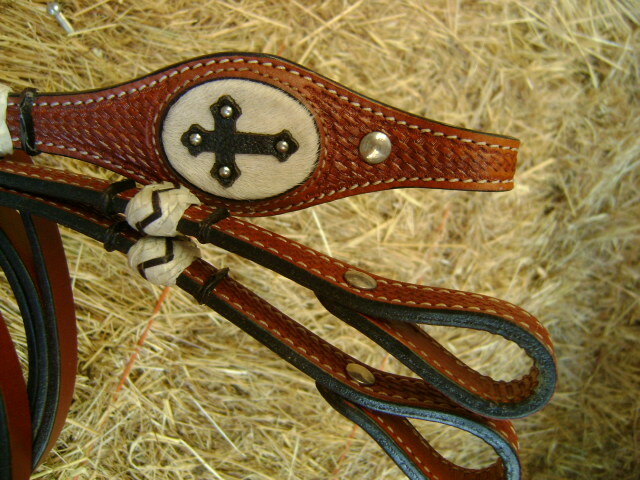 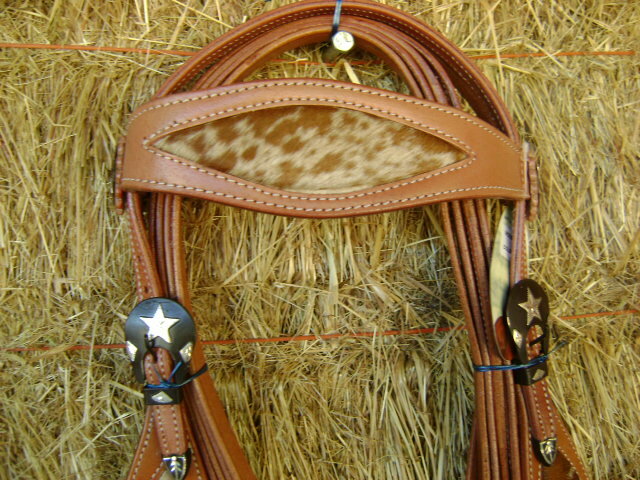 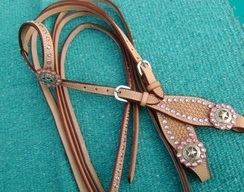 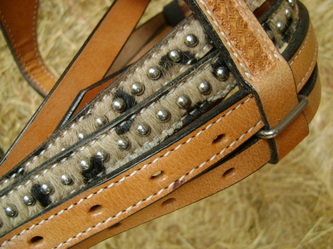 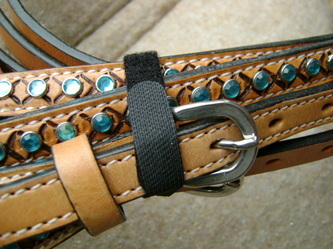 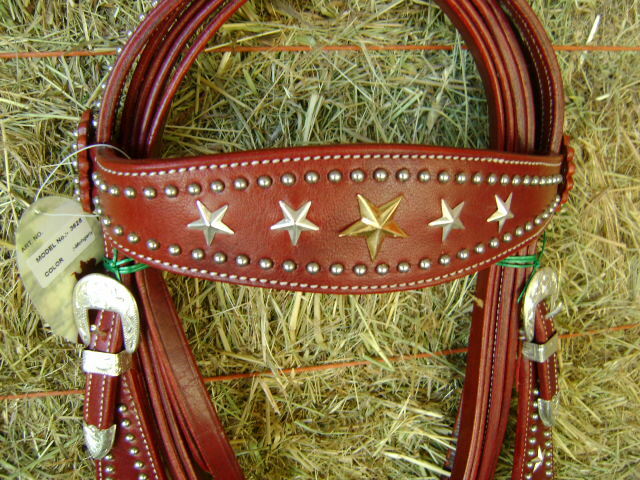 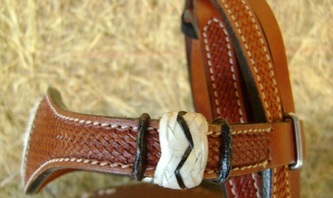 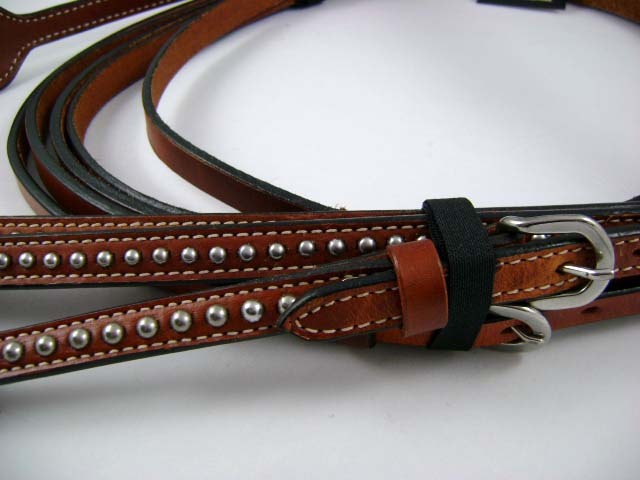 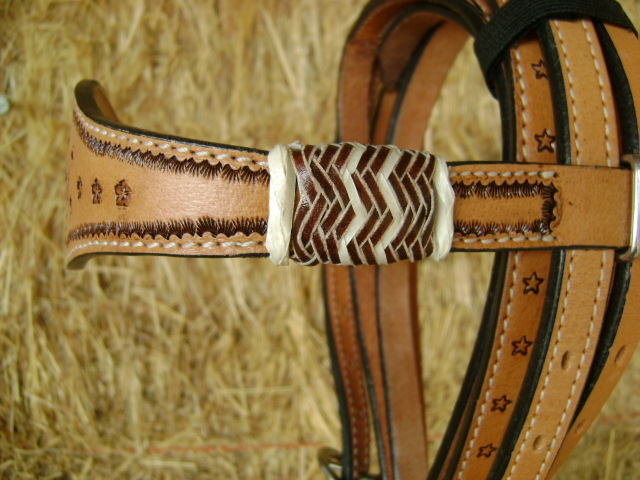 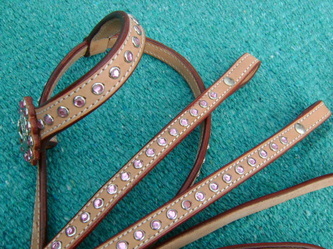 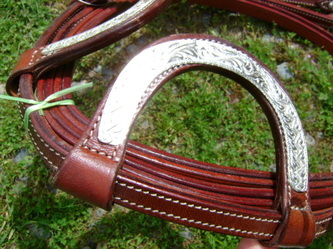 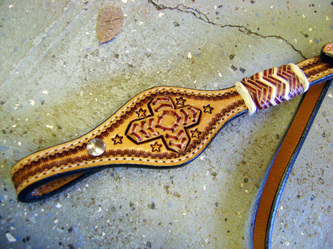 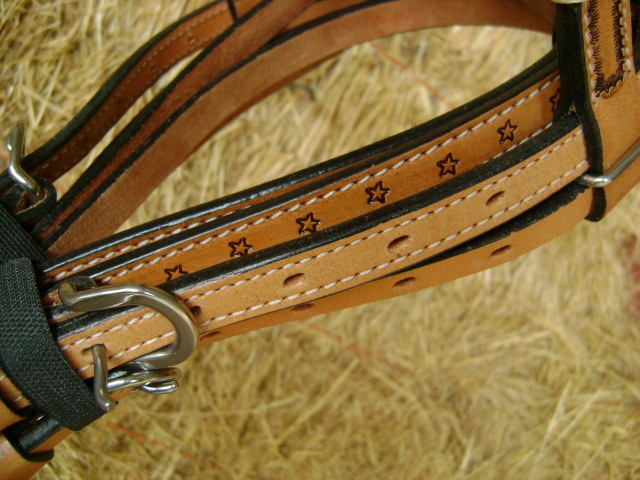 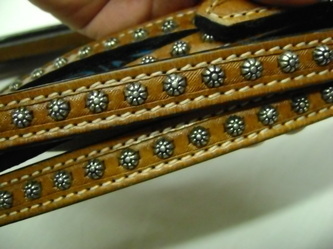 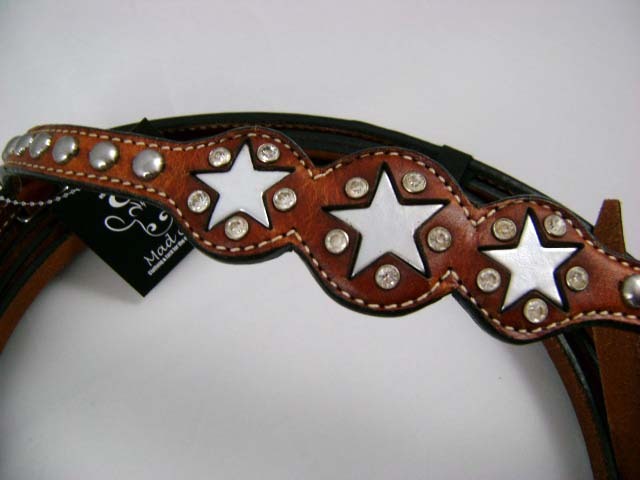 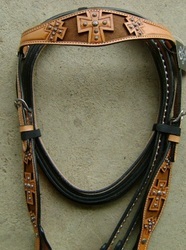 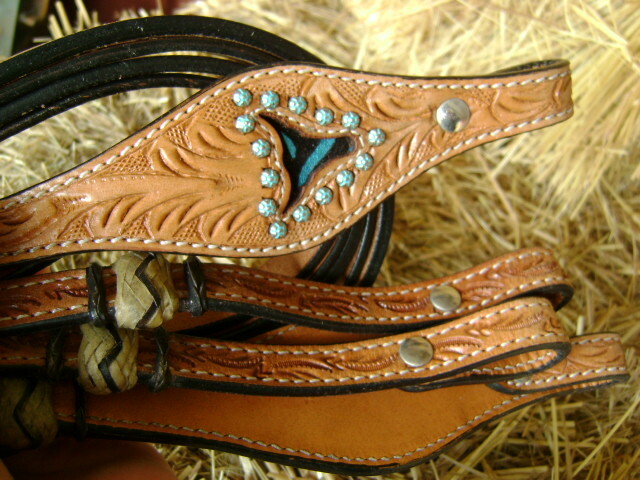 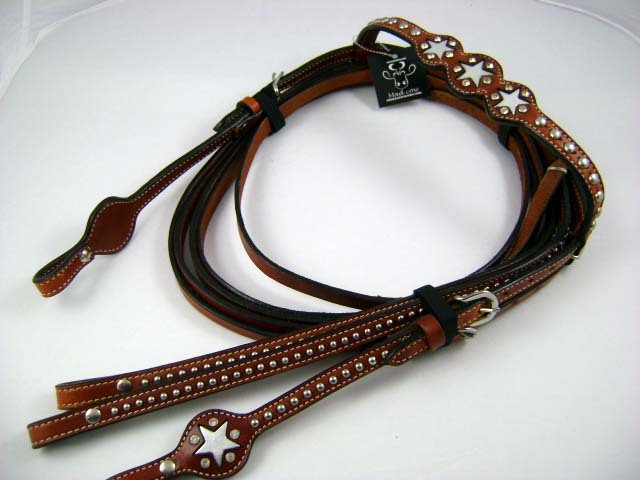 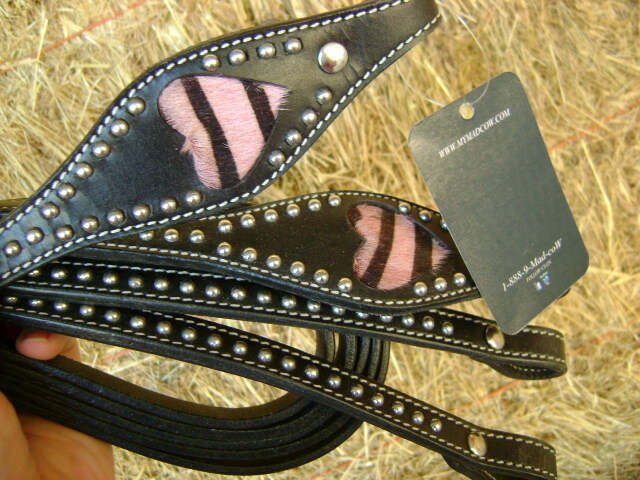 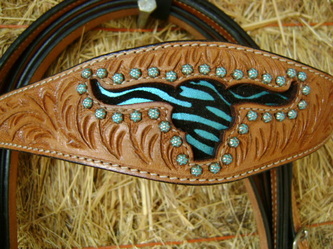 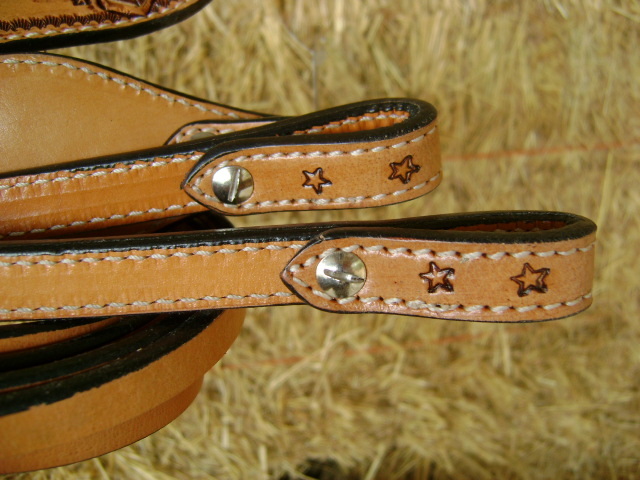 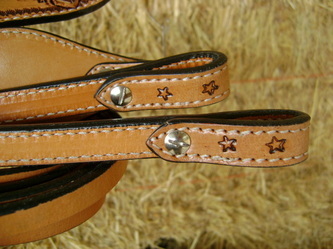 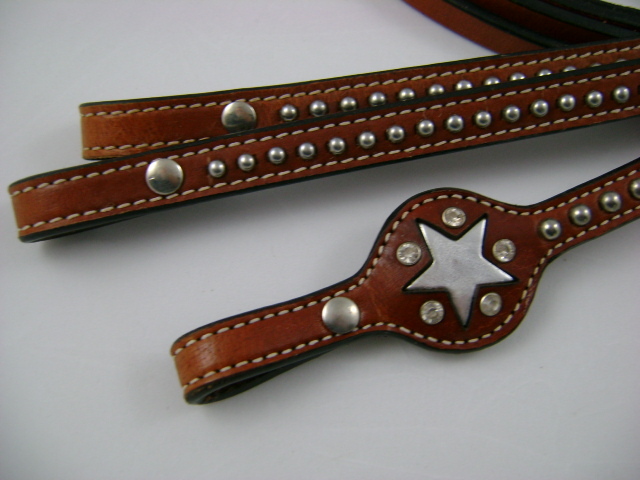 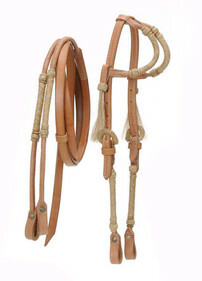 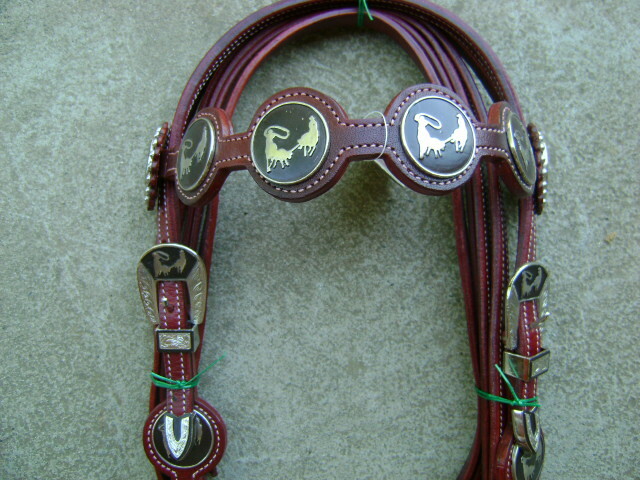 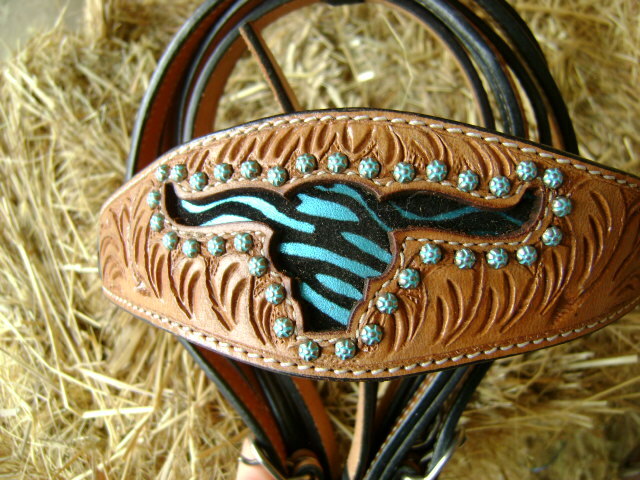 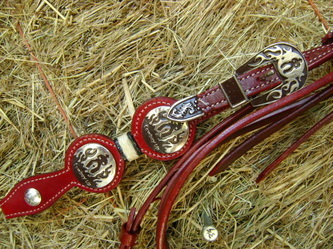 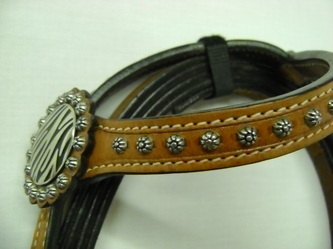 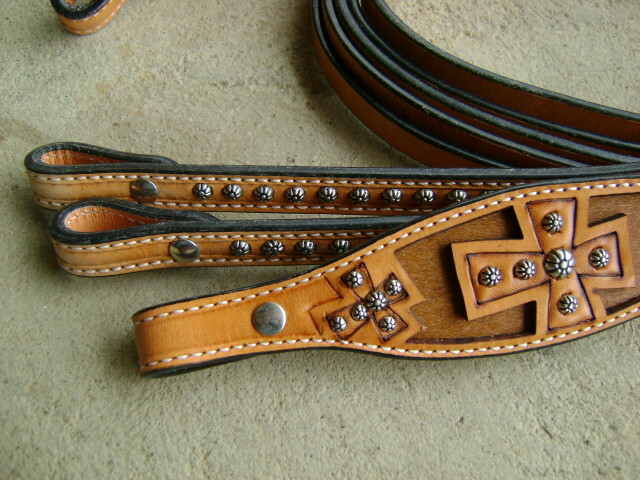 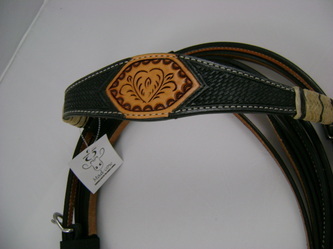 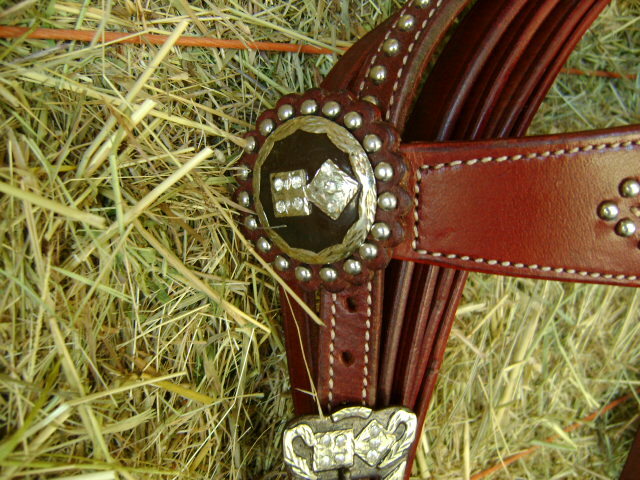 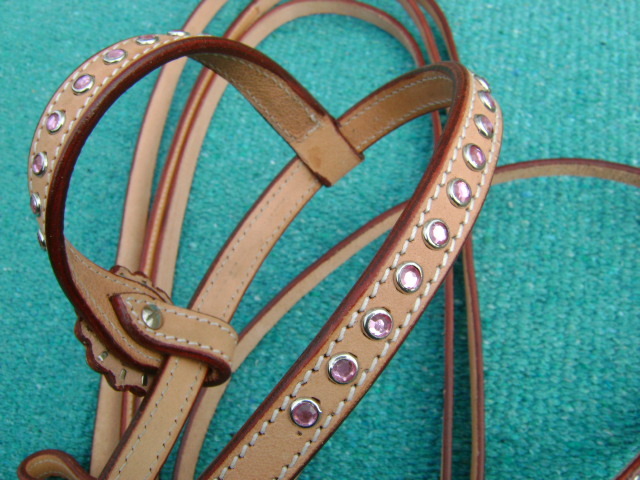 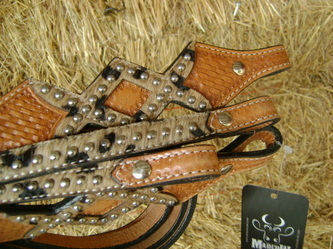 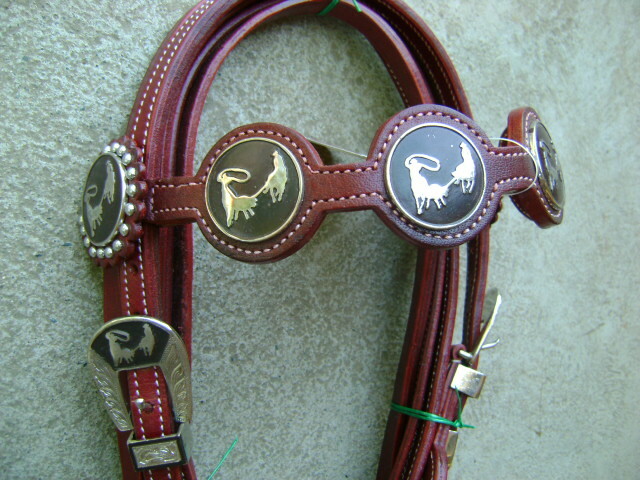 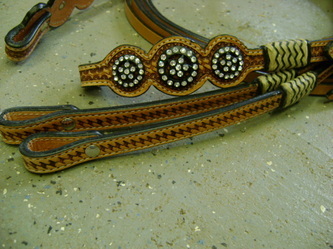 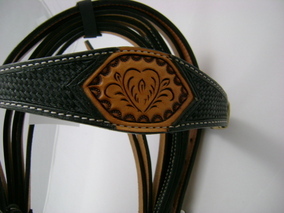 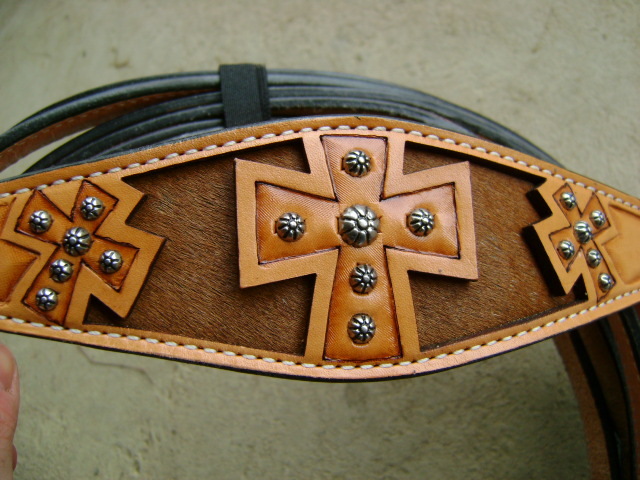 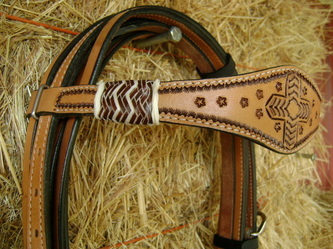 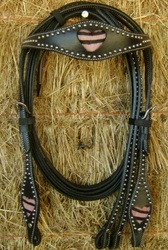 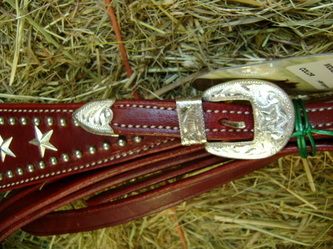 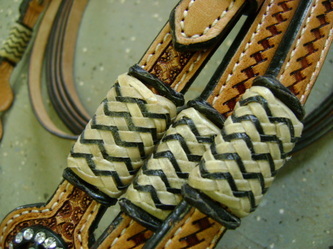 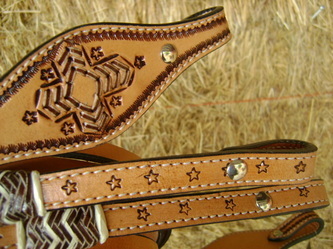 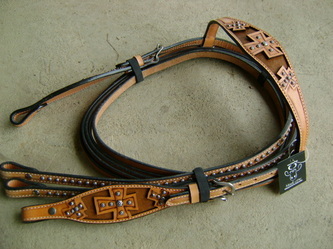 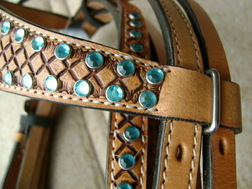 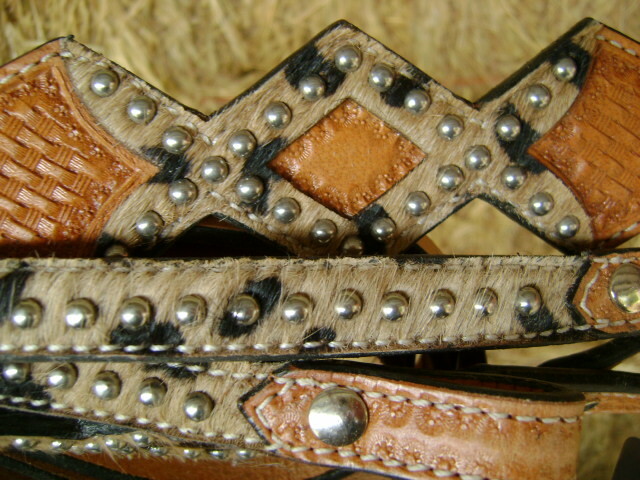 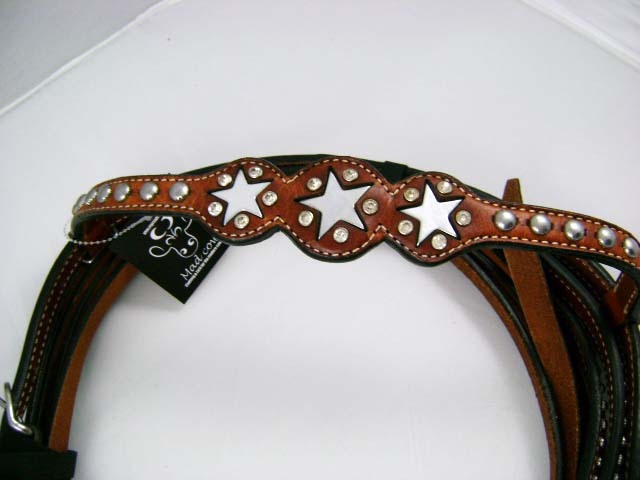 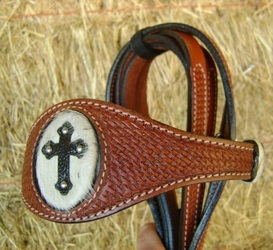 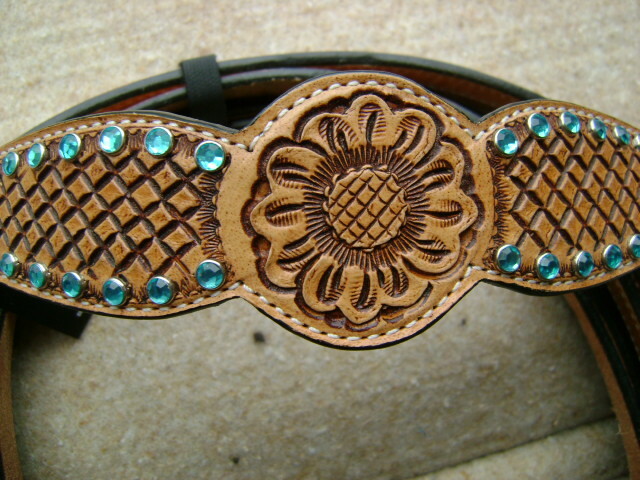 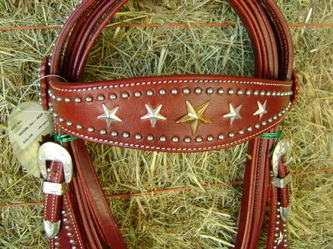 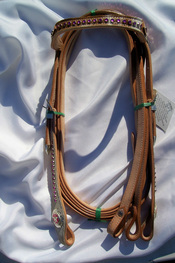 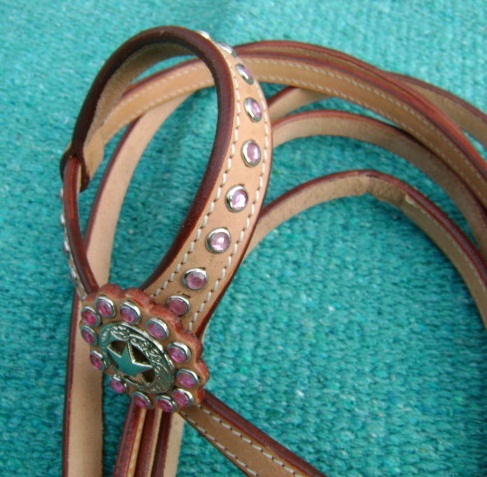 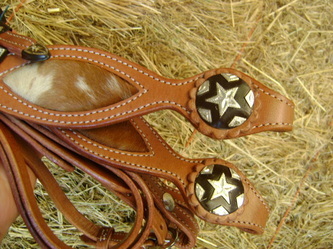 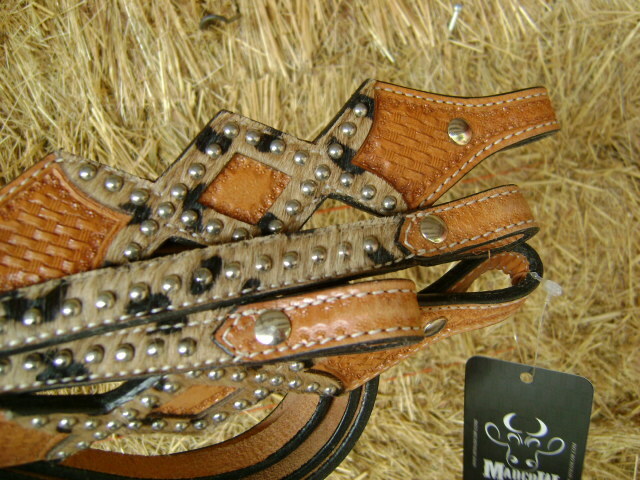 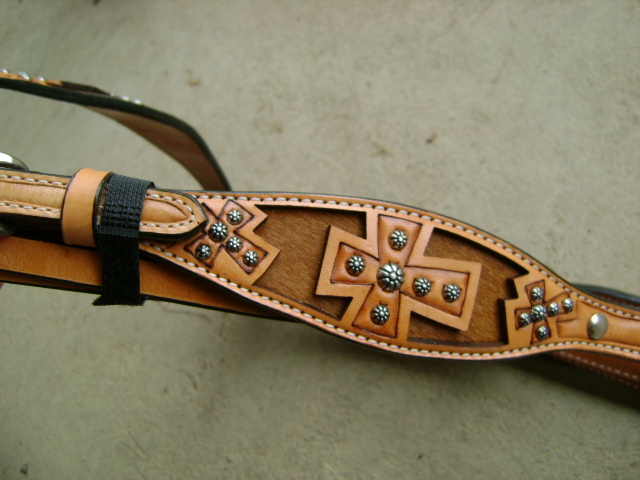 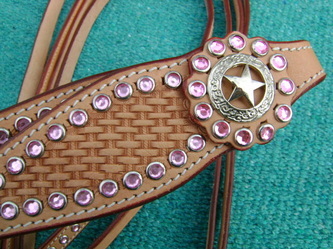 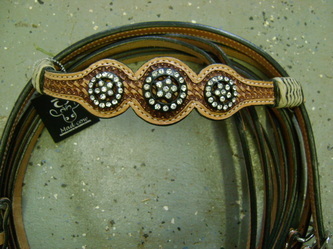 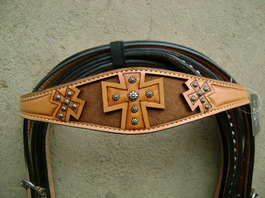 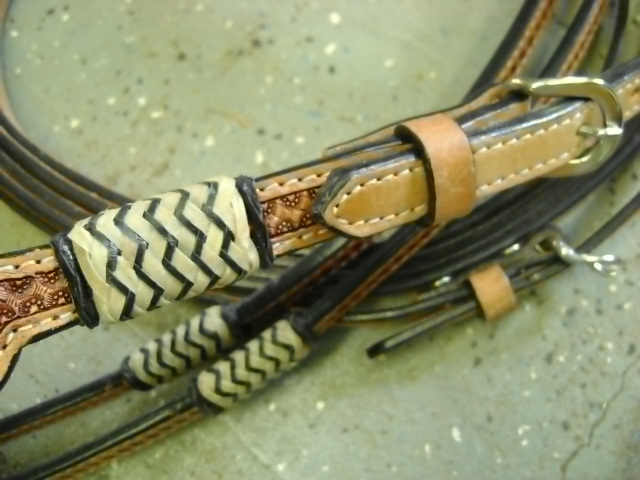 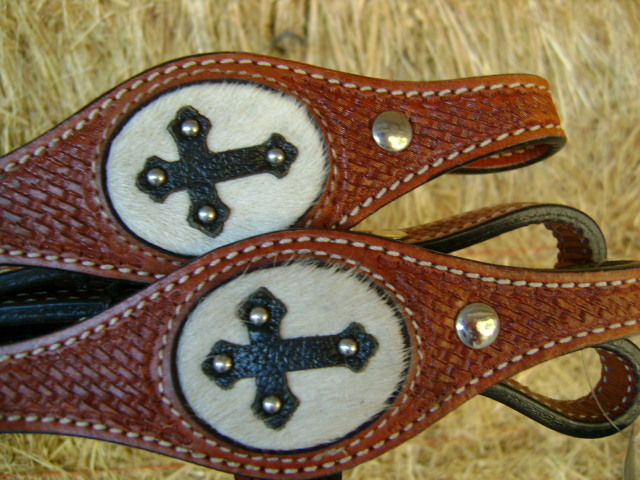 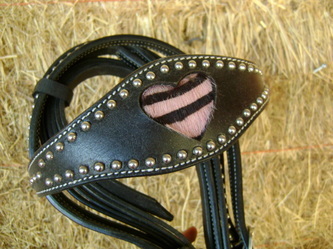 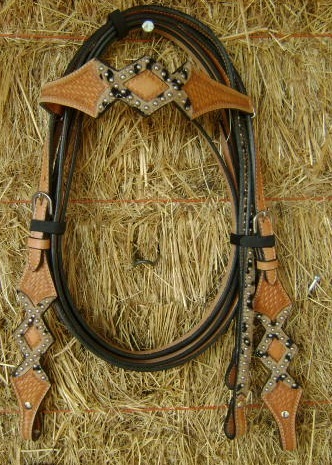 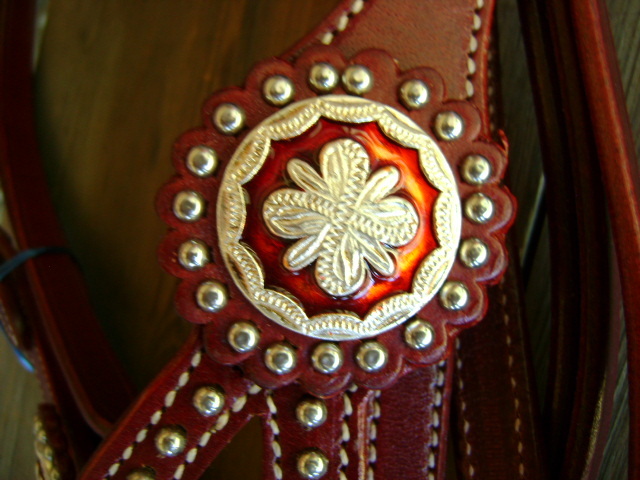 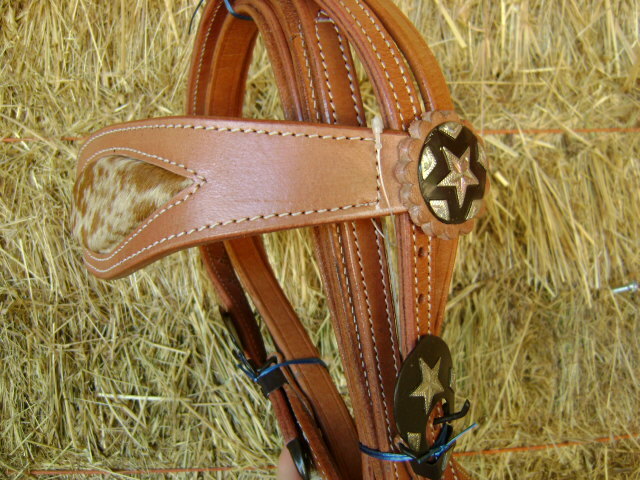 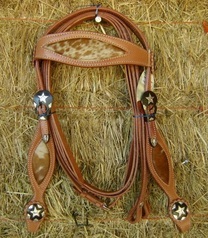 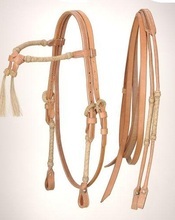 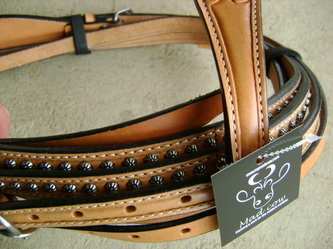 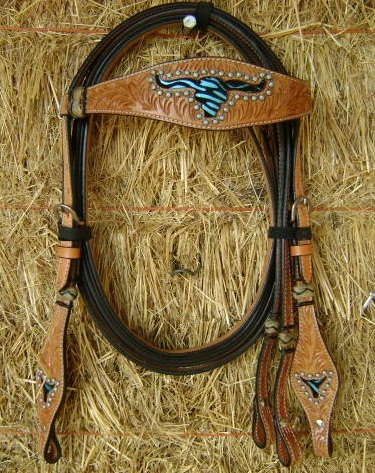 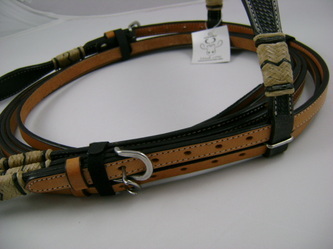 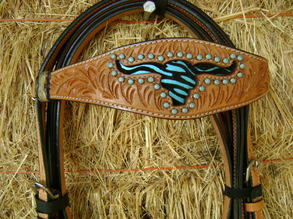 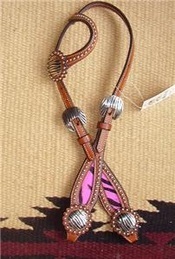 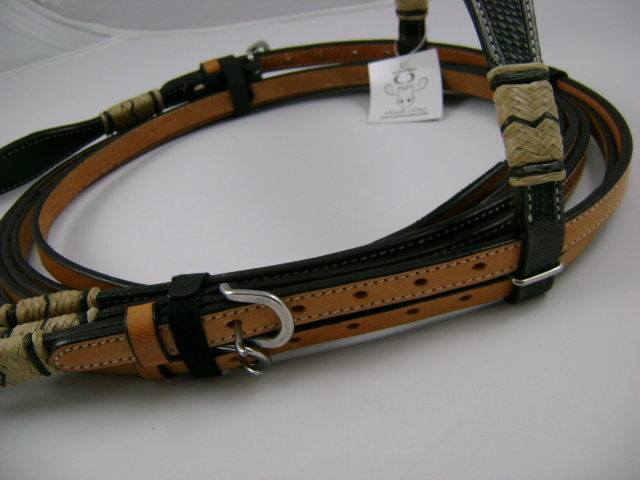 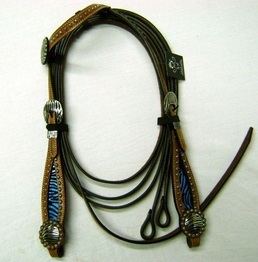 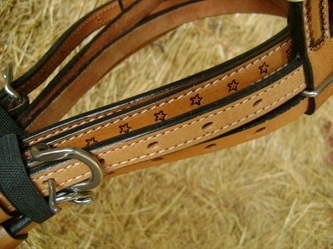 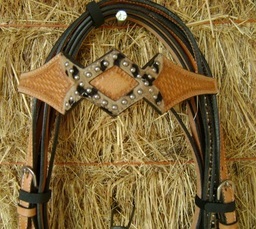 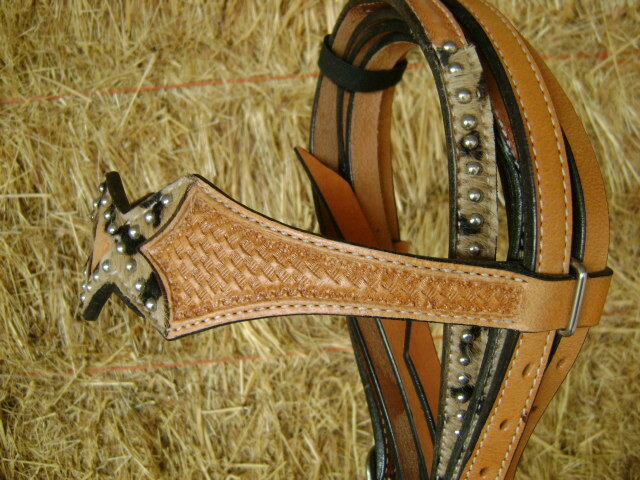 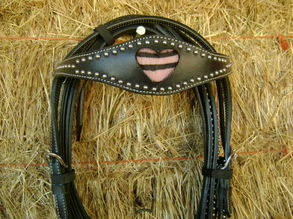 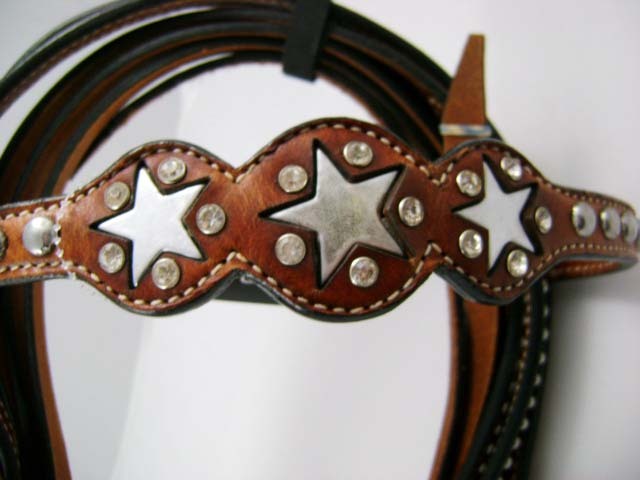 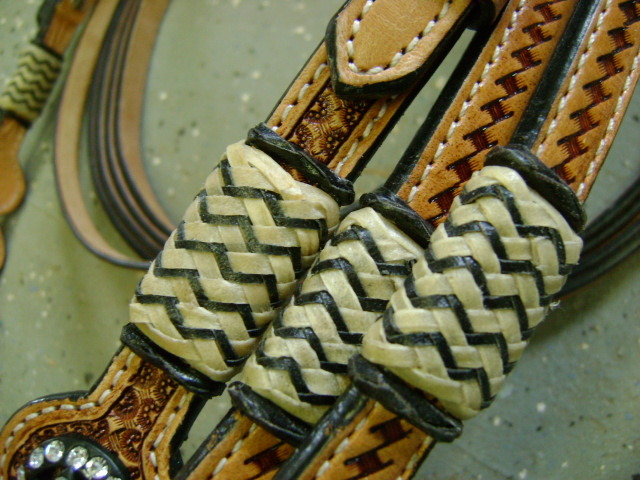 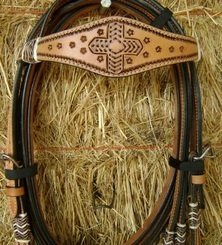 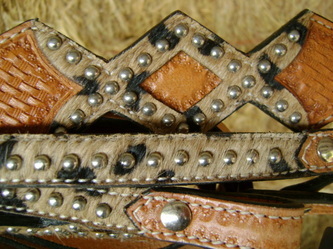 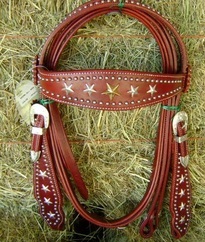 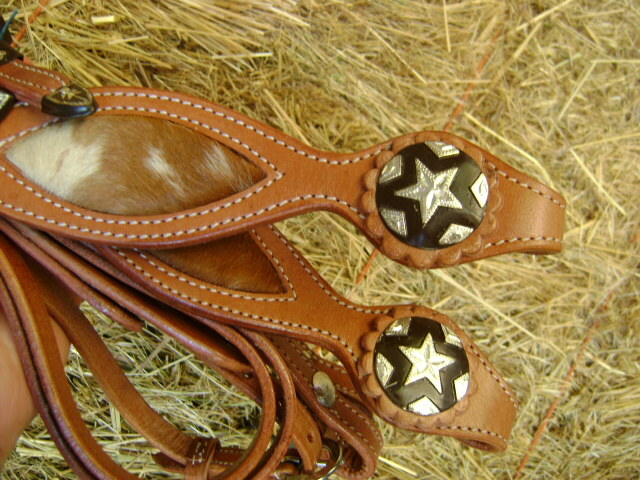 Comes with 5' leather split reins. 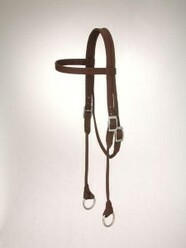 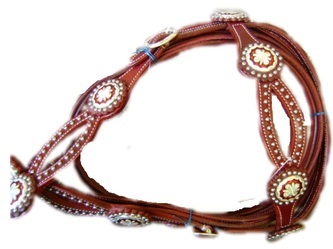 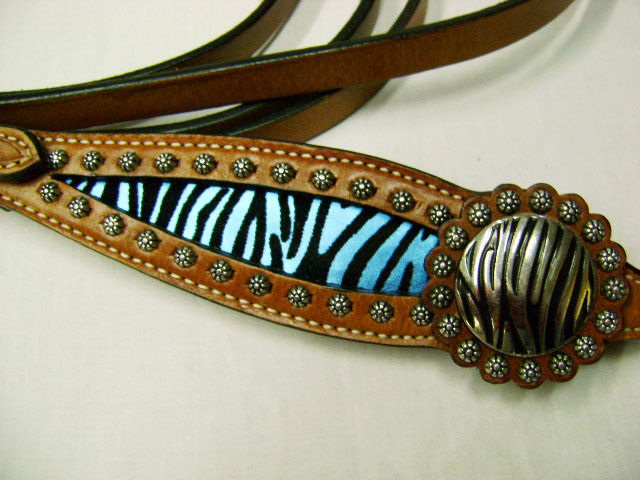 ​Great Silver Show Halter without the big Ticket Price.